Something bright and cheerful to brighten up these cooler Winter Days. 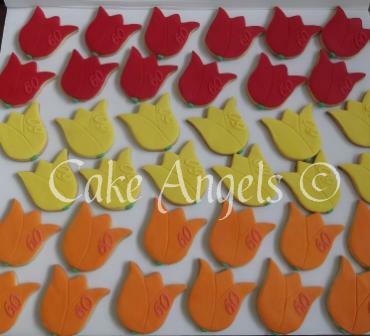 These Tulip Cookies were made for a 60th Wedding Anniversary celebration in Hawera to match the Tulip filled party room. 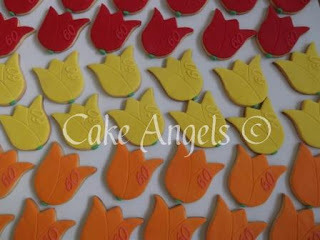 Congratulations from the Cake Angels to this couple celebrating a milestone in their married life.